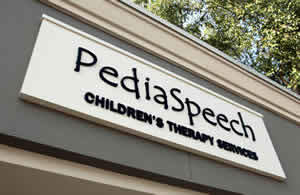 Welcome to PediaSpeech Services, Inc. We are so pleased that you have chosen us for your child’s speech and/or occupational therapy needs. Be assured that every effort will be made to insure that their experience is both a productive and a pleasant one. Our goal is to help your child achieve his/her fullest potential, while at the same time having fun. There are a few things that we will need to obtain from you before or at the first scheduled visit. Download the “Patient Information Packet”. Each sheet is very important, and therefore we ask that you read them carefully and complete them as accurately as possible. If there is a portion that does not apply, simply enter “NA”. Please review the items listed below, and be sure that we have the items that apply in our office by your initial visit. ORIGINAL RX (required from physician if filing with Insurance or Medicaid). This is required to document medical necessity. It is independent of any additional requirements for a referral or authorization that your insurance might require. We will be happy to bill your insurance company for you. However, you are responsible for contacting your insurance company prior to your first visit in order to determine your benefits for speech/occupational therapy. Any unpaid balances become your responsibility. Please contact us at (770) 209-9826 if you have any questions.